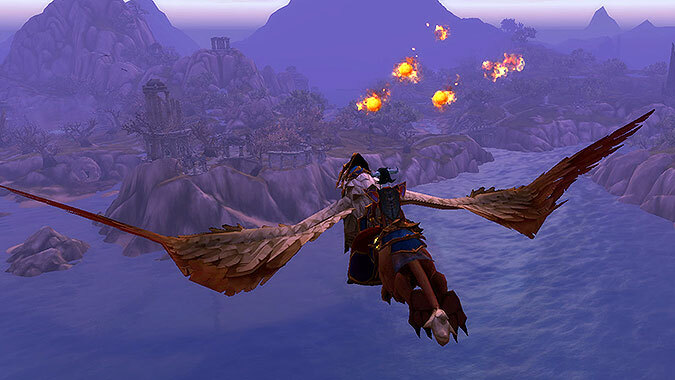 The Legion pre-patch might be almost live by the time you’re reading this! 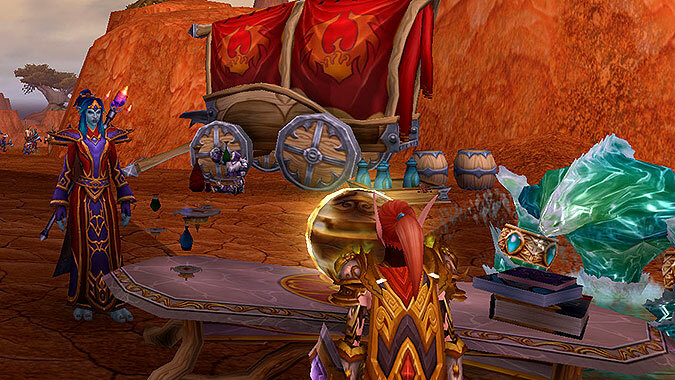 All of the Artifact weapons, mechanics changes and talents we’ve been reading about are almost here. I know this can be a bewildering time if you haven’t been following mechanic changes, but don’t worry. 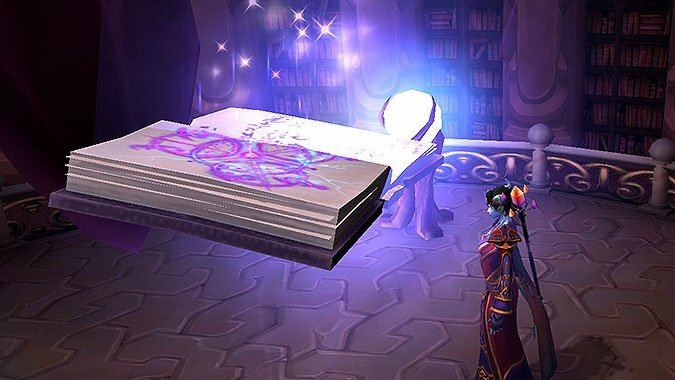 Consider this your quick notes primer on how to log in and start playing in patch 7.0. Talent choices really are choices now. 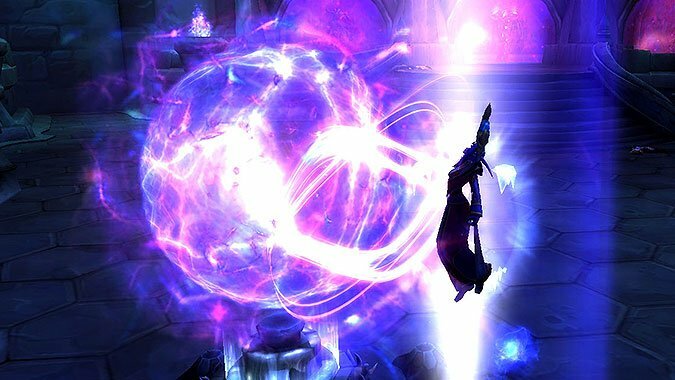 There’s no right or wrong build for leveling, but these are solid recommendations for Legion Mage talents you can use to dive in immediately after the patch! Level 15: Presence of Mind will give you the best bang for your buck here while leveling, letting you build Arcane Charges quickly while also punching out two Arcane Blasts. Level 30: Shimmer best suits a semi-mobile playstyle. If you make good use of Slow and maintain distance between you and your enemy, they should never have a chance to touch you. It’s important to note that depending on your race, Cold Snap could also be the only means you have of obtaining a self-heal and that should factor into your decision. Level 45: Rune of Power is the talent that many Mages love to hate, but its latest iteration is actually surprisingly okay while leveling. It’s hard to pass up a cooldown this powerful, and its ten second duration makes it less onerous for leveling play than you’d imagine. This tier is a toss-up more than any of the others, though, and you could make a strong argument for any of RoP, Mirror Image, or Incanter’s Flow. Level 60: Supernova demonstrates the most leveling utility in this tier. The cooldown is only 25 seconds, and it’s a powerful attack with built-in AOE. Level 75: Ice Floes may not play nice with the time you need to stand still for Rune of Power, but it still affords you some additional flexibility when you may need to kite or adjust position while still maintaining your damage dealing. If you have a tendency to pull heavily (deliberately or otherwise) consider Ring of Frost or Ice Ward instead to give you some control back. Arcane definitely feels the lack of some mitigating abilities. Level 90: Nether Tempest is a clear winner for leveling here. It’s instant, it scales with Arcane Charges, and it’ll tick to anything else that’s attacking you. Level 100: Arcane Orb edges out the other choices for leveling only in this final tier. You’re unlikely to be attacking enough times in a row to make use of Quickening, unlike in a raiding situation, so the effect doesn’t stack high enough to be worth using. Arcane Orb will give you a more reliable benefit in the form of Arcane Charges, even if its travel path may not always be optimal. Here’s an easy reference to this talent build on Wowhead in case you need it later. Level 15: Conflagration provides the most consistent benefit here. Although the 10% chance to flare up is low, the most important thing is the addition of the Conflagration DOT effect itself. This talent gives you a steady input of automatically applied damage. Most quest mobs will live long enough to make it worthwhile. Level 30: Shimmer crept in and stole my heart, you guys. I’m not afraid to admit it. Especially for leveling, I like it. You might prefer Cold Snap, it really depends on your personal playstyle. I’ll be over here blinking all over the place. Level 45: Incanter’s Flow is a nice way to gain a steady buff. Especially for Fire, it’s trickier to coordinate the exact right moment for Rune of Power and this is a more passive choice. Level 60: Blast Wave didn’t seem at first glance like an ideal choice for leveling, but this new iteration is pretty slick. Even if you don’t need the AOE effect, it deals a nice chunk of damage to a primary target and adds in a slow as well. Plus, there’s no more targeting reticule, so it’s easy to drop it quickly and it doesn’t interfere with your leveling groove. Level 90: Unstable Magic is a solid choice in this tier because it directly affects Fireball and we cast Fireball so often. Living Bomb has a different feel than it used to — it can only be applied to a single target unless it explodes and spreads itself, and has a fairly long twelve second cooldown, so it’s a bit more niche than it once was. I don’t mind dropping it from this tier for leveling, at least. Level 100: Meteor is my pick for this level, either way you’ll probably be choosing between two AOE options and Meteor is instant and easier to aim than Cinderstorm, but it isn’t inherently superior. This one comes down to preference. Here’s a quick link to this build on Wowhead if you want to keep it handy. Level 15: Ray of Frost is the most expedient choice here provided that you want to keep your Water Elemental. If you’re looking for a pet-less playstyle, Lonely Winter is the only choice for you in this tier. Level 30: Cold Snap provides you with a heal that you wouldn’t otherwise have. Shimmer is less useful here than for Fire and Arcane. Frost is definitely playing as the most durable of the three specs and shouldn’t need to do much kiting in the form of fleeing — most enemies won’t reach you. Level 45: Incanter’s Flow is chosen simply because it’s the easiest of the three to manage. You can fix it and forget it. It suits Frost’s wide arsenal of frequently cast spells and should benefit you steadily while you’re leveling. Level 60: Ice Nova has always been one of the best leveling spells for Frost. It hits like a truck driven by angry bears. It no longer has charges, but the cooldown is just 25 seconds which is often enough to make it worth it. Level 75: Ice Floes is the most useful spell in this tier to keep you on the move when you’re casting any spells with a cast time. Level 90: Frost Bomb is the perfect combination of single target damage combined with incidental AOE if you need it and is definitely the leveling talent of choice for this tier. Level 100: Comet Storm wasn’t my first pick for this tier. But after playing with Glacial Spike for awhile, I’ve changed my mind. Glacial Spike is still a great spell, but for the amount of time most mobs are going to be living, Ice Lance no longer launching Icicles starts to feel awkward. (Keep in mind that you don’t “lose” Icicles as a result of this, any additional Icicles you earn while carrying the maximum still auto-fire at an enemy). I find that it puts too much emphasis on a single spell and feels clunky compared to a quick Icicle-loaded Ice Lance that drops an enemy pretty quickly. If you’d like to check out this build on Wowhead, here’s a link to the entire thing. The patch includes updated restrictions to talent choices. You’ll only be able to change talents in rested XP areas (e.g. cities, inns, and your garrison). This doesn’t mean you can never change them, just that it’s good to consider your plan ahead of time. There’s some time after the patch drops to experiment with the new talents and figure out what you’d like to play. Maybe you’ll be leveling with a tank friend and need an AOE focused build to tear through Legion’s questing content! These builds are best for solo play, doing mostly single target damage. There’s plenty of room for flexibility, though, and you can easily adapt them to suit your needs.